New updates for "Crash Bandicoot N. Sane Trilogy" will feature returning characters and the game coming to other platforms next year. It seems that three "Crash Bandicoot" characters are returning in "Crash Bandicoot N. Sane Trilogy" as the promo art of the game featured Coco Bandicoot, Uka-Uka and Pura Tiger, Niche Gamer reported. Coco Bandicoot is Crash's little sister and made her debut in "Crash Bandicoot 2: Cortex Strikes Back." Pura Tiger is a companion of Coco that she can ride on and Uka-Uka is the evil masked brother of Aku-Aku during "Crash Bandicoot" Warped." Judging by the game cover art it seems that Coco, Pura and Aku-Aku will have a much enhanced appearance in "Crash Bandicoot N. Sane Trilogy" than in the PlayStation 1 era similar to how the levels and villains are enhanced for the PlayStation 4 console. A promotional image in Best Buy Canada revealed that the "Crash Bandicoot N. Sane Trilogy" will be exclusive to the PlayStation 4 for twelve months.The banner shows the caption “1 Year Console Exclusive” without further clarification, Gametransfer reported. Could this mean that "Crash Bandicoot N. Sane Trilogy" will be available for other gaming platforms next year? 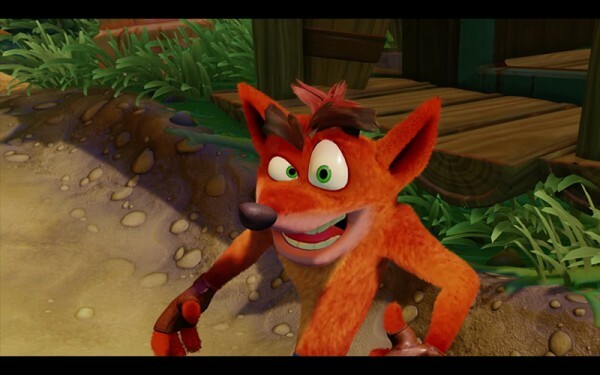 There have been instances that the "Crash" trilogy remake was speculated to be in the Xbox One console and even teased a possible PC and Nintedo Switch versions. Activsion and Sony recently released a new trailer for "Crash Bandicoot N. Sane Trilogy" featuring its most famous villains like Papu Papu, Ripper Roo, Koala Kong, Pinstripe Potoroo, The Komodo Bros. and Tiny Tiger. 'Final Fantasy 8' Remake in The Works Soon; Square Enix Tease More 'Final Fantasy' Sequel Remakes! 'Devil May Cry 5' Rumors: Sequel to Launch this Year Along with 'Marvel vs. Capcom: Infinite'; Capcom Not Working on 'DmC: Devil May Cry 2'? 'Injustice 2' DLC Characters: Red Hood Gameplay Image Leaked: Tips on How to Reach Character Max Level Revealed!